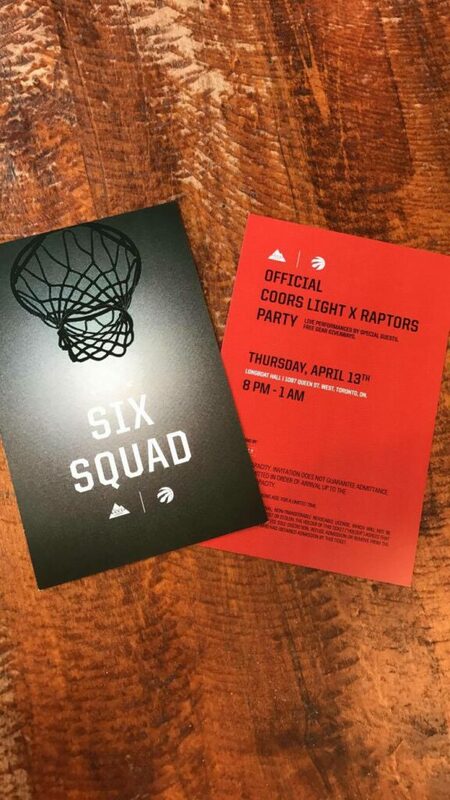 Last week my boyfriend was lucky enough to win tickets to a Toronto Raptors pre-playoff party hosted by Coors Light! 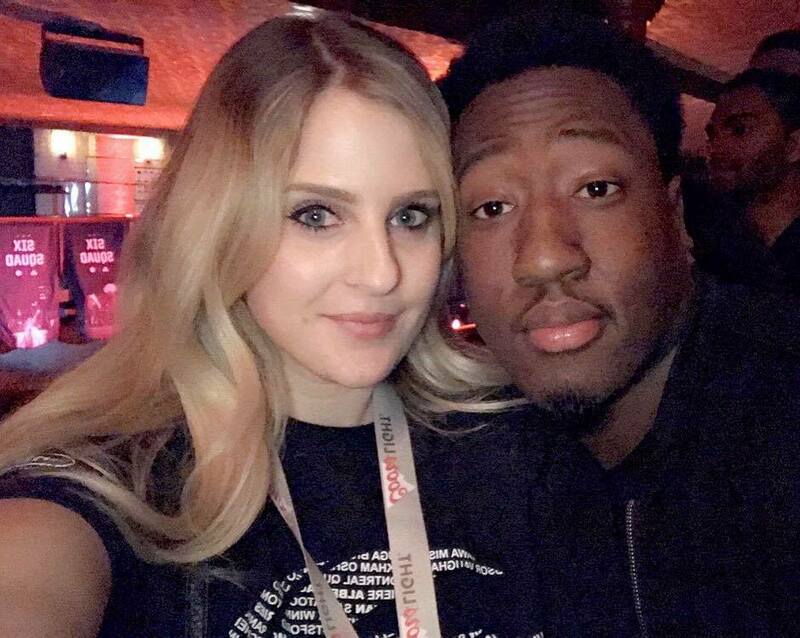 The party was AMAZING – there was food, drinks, free apparel, and guest appearances. Mark Strizzy and Kat Stefankiewicz were the hosts for the night (they’re the in-arena hosts at the Raptors games!). When we first got to the party, we were handed lanyards with our badges on them. They were used as our pass for 4 free Coors Lights, 1 jacket, and 1 other piece of apparel. Of course we went straight in line for the apparel first! Everyone at the party got a customized bomber jacket that had “The Six Squad” printed on the back. We got to pick 1 of 6 patches to put on the sleeve of the jacket – I chose the Toronto Raptors logo of course! I ended up giving my second piece of apparel to my boyfriend because Raptors (& basketball in general) are his life! (He’s been playing basketball since elementary school, and even teaches kids at community centres AND coaches his own team). 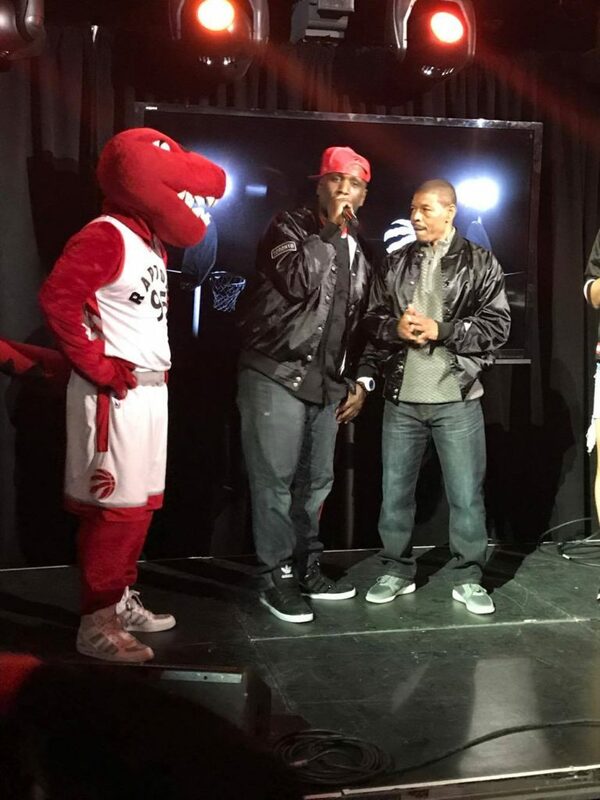 He ended up picking two jerseys – Kyle Lowry & Cory Joseph. After we got our apparel, we went to get a drink and some food. The Keg was catering the event and had a carving station where they made tiny sandwiches, as well as hostess’ walking around passing out hors d’oeuvres. Soon after, they brought out Justin Darlington – a professional dunker, who did some dunks for us! 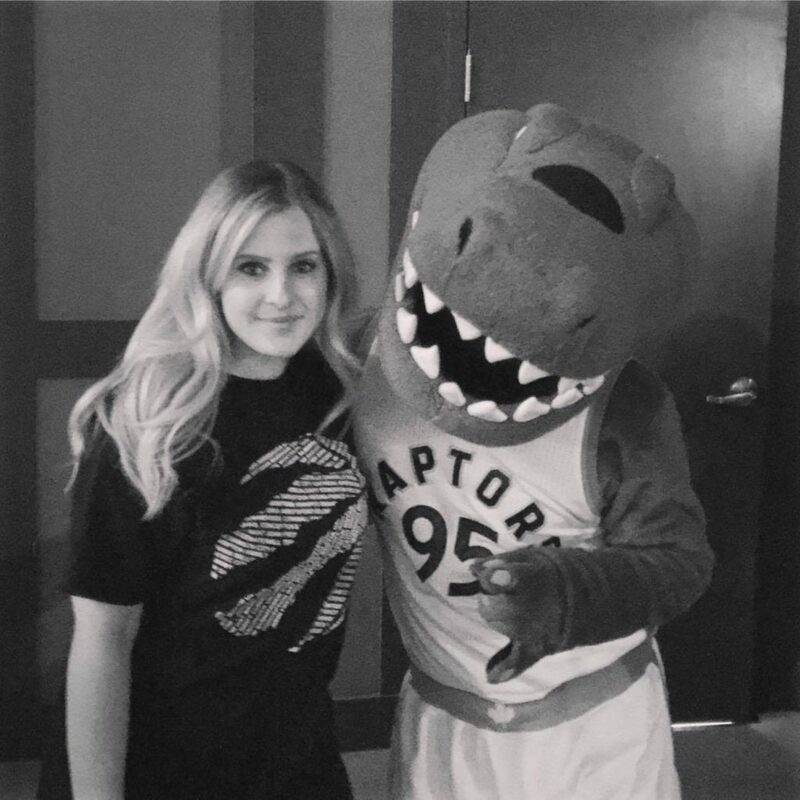 He even did some with the Raptors mascot. 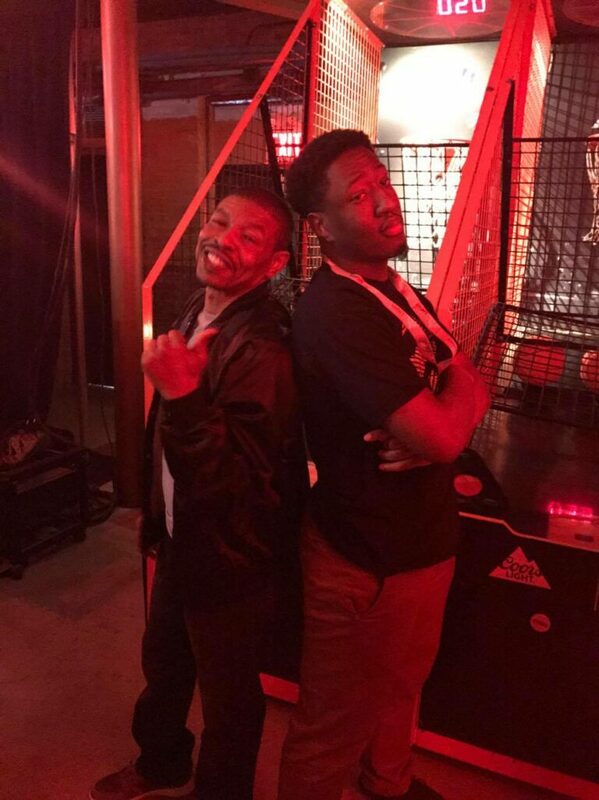 A little while later, the surprises continued – they brought out Muggsy Bogues (former Raptor). Everyone had the opportunity to play basketball against him (arcade style), and if you won, you got a free pair of Adidas shoes! I obviously didn’t win against him.. but it was fun and I tried! The night ended with a concert held by Jazz Cartier. The entire night was amazing and well put together. I can really appreciate an event like this after putting them together for work!